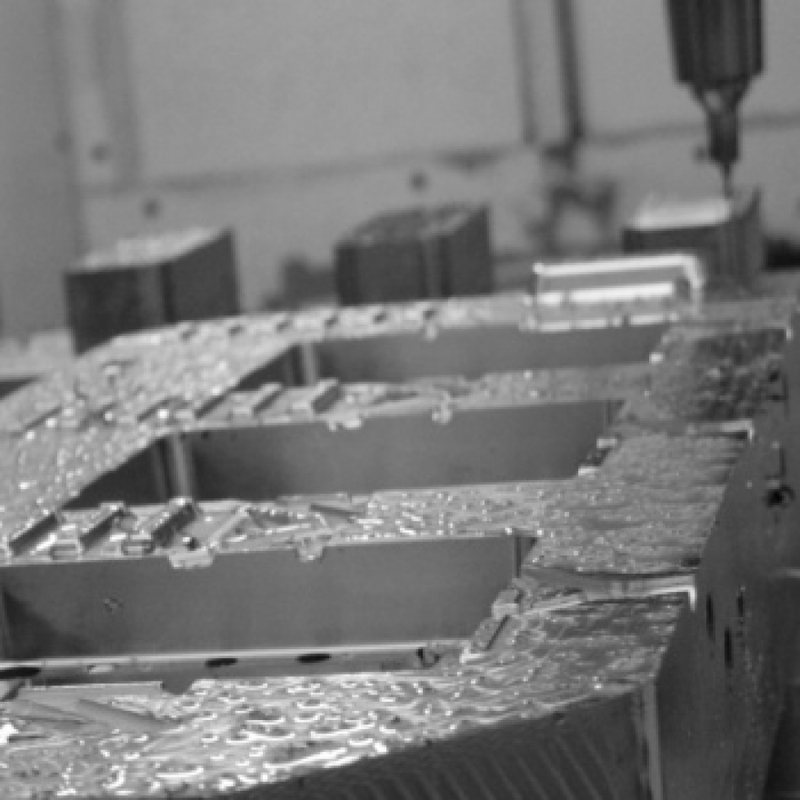 one five-axis milling machine of big dimensions; four traditional three-axis milling machines used to prepare the moulds before heat-treatment. The continuous process of rationalisation and of improvement of production activities follows the growing complexity of the moulds to be built. The finishing operations on the components are carried out by specialized operators who have developed a specific sensitivity to the artisan “know-how” and its traditional precision.